If I were a garden fairy, I would bed under the night stars on a hidden tuft of moss and snuggle under my wooly soft Bergartten sage leaf blanket. 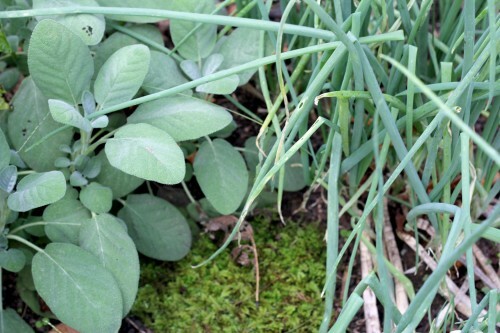 Bergartten is a big-leafed winsome sage that grows happily amidst the tangles of my Egyptian walking onions. Unfortunately, this human gal isn’t sleeping under a sage blanket any time soon. So I’ll just eat it. And eat it, and eat it in crunchy cheese sandwich form until all the leaves are gone. Which will be pretty soon since I bought it late in the season, and it hasn’t turned into a bush yet like all my other sages. 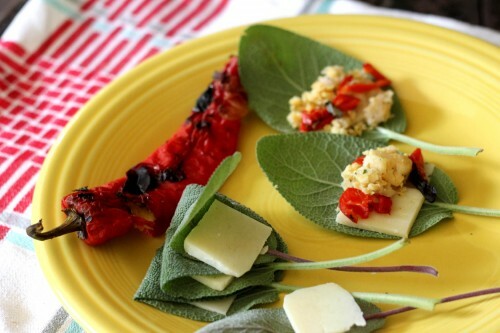 Stuff the sage leaves with a dry cheese that stays put when melted. And add anything else you happen to have on hand like roasted Jimmy Nardello pepper and smashed chickpeas and rosemary. They have nice little tails for holding, this little snack. 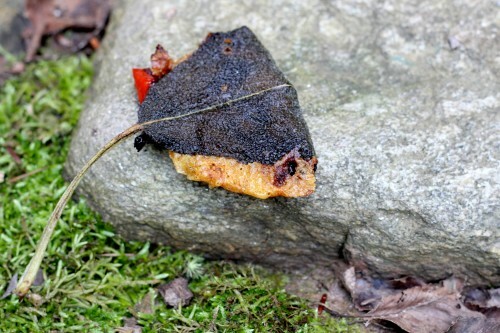 How about offering these for an off-the-beaten-path appetizer, served on a moss-covered stone, for your next garden party?? And speaking of tails (???) 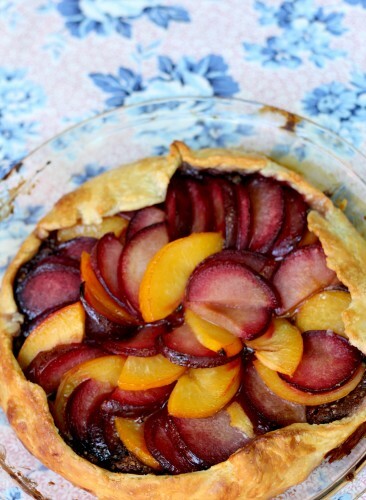 here’s a nice ending to your outdoorsy garden party … a chocolate frangipane September plum tart! Pick large leaves of your favorite sage. Heat up a cast iron skillet with a pat of butter. 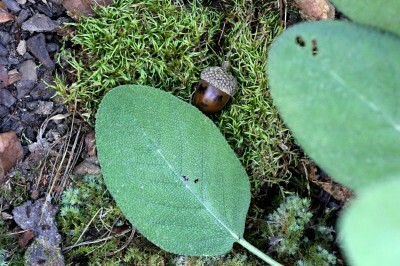 Place desired innards on one half of the sage leaf. Fold the leaf over. and then cook until crispy brown on each side. Sprinkle with coarse salt. Serve these to your guests on a moss-covered rock. I just made these and they were delicious! I used some local toma and diced sun dried tomatoes.. I think I have a new addiction.